Asap Gentle Eye Make-up Remover gently removes all traces of eye make-up without irritation. Enriched with calming and soothing Aloe Vera and cooling Cucumber, it conditions and hydrates, leaving skin soft, supple and beautifully clean. Gentle enough for everyday use. 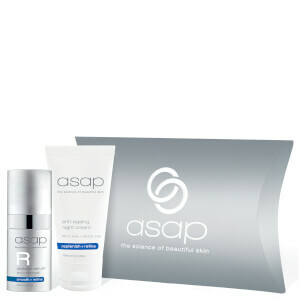 Save up to 50% off asap and receive a free asap Radiance + Night Cream Pack when you spend $120 on the brand. Gift applied automatically at checkout. While stocks last. Very gentle on eye and actually takes make off. Leaves skin feeling soft and fresh.